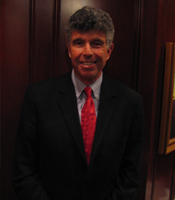 Gary Bard received his master's degree in electrical engineering from The George Washington University, and he earned an MBA from Temple University. 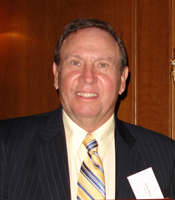 Over the course of his career, Mr. Bard has been the CEO of five companies and holds several patents in the field of computer display technology and analog to digital conversion. 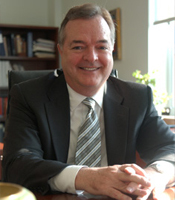 He has served on the board of directors of several companies and on the board of trustees of several universities. He is a past-chairman of the SEAS National Advisory Council, and he received the Engineer Alumni Achievement Award from the Engineer Alumni Association at the SEAS commencement ceremonies in May 2006. Gail Boggs received his bachelor's degree in electrical engineering from The George Washington University and his master's degree in electrical engineering from the University of Maryland. His area of expertise is in communications and engineering logistics support, and he holds four patents. Mr. Boggs founded several companies over the course of his career, beginning with a consulting engineering firm, Boggs & Hekimian, formed with his friend and classmate Norris Hekimian. He also founded In Telco and GE Boggs & Associates, which was later re-incorporated as ELS Inc., and sold. William Ellenberger earned bachelor's degrees in both electrical engineering and mechanical engineering from The George Washington University. Mr. Ellenberger had a career with the Department of the Army Civilian Service, where he served as a construction management engineer, and he was later self-employed as an engineer consultant. Over the years, he served in many positions of leadership in both the GW Alumni Association and the Engineer Alumni Association and he contributed an enormous amount of time in voluntary service to the University. During his affiliation with SEAS, Mr. Ellenberger compiled a very valuable historical record of the evolution of the engineering school. 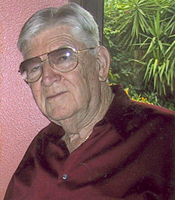 Copies of many of his papers and recollections were given to the University Archives in 2004. Mark Hughes earned a bachelor's degree in physics and a master's degree in computer science from The George Washington University. He later completed the Harvard program for senior executives in national and international security and the Stanford University Program in Mergers and Acquisitions. Mr. Hughes retired as president of the System and Network Solutions Group of Science Applications International Corporation (SAIC) in February 2006, and is now president and chairman of the board of directors of the Elsie and Marvin Dekelboum Family Foundation. He is a member of the Board of Trustees of The George Washington University and also serves on the SEAS National Advisory Council. Mr. Hughes received the Alumni Service Award in 2001 and the Distinguished Alumni Achievement Award in 2003 from the GW Alumni Association. Pat Martin earned a master's degree in mathematics and a doctoral degree in electrical engineering from The George Washington University, as well as a P.M.D. from Harvard University's executive education program. After a long career with Xerox Corporation, where he was a corporate senior vice president, Dr. Martin joined StorageTek, where he served as chairman, president, and chief executive. Dr. Martin currently serves on the Board of Directors at Qwest and on the Dean's Advisory Council for the Fisher School of Business at Ohio State University. He previously served on the SEAS National Advisory Council. 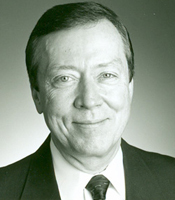 Dr. Martin received the Distinguished Alumni Achievement Award from the GW Alumni Association in 1997. Nicholas Paleologos began working at Miller & Long Construction Company while he was a civil engineering student at The George Washington University. He earned his bachelor's degree and worked his way up through the ranks of the company to partner and president in charge of operations. Mr. Paleologos has been a dedicated member of the SEAS National Advisory Council since the group was founded and has been a tireless advocate for the School. He is also a member of the Presidents Club for the University of Maryland. Mr. Paleologos received the Engineer Alumni Achievement Award from the Engineer Alumni Association in 1988. Spencer Prentiss spent his formative years in the nation's capital, which his ancestors had helped to settle. He followed his father and grandfather in attending The George Washington University and earned his bachelor's degree with distinction from GW. He later received a Ph.D. in physical chemistry from MIT. 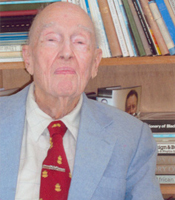 Dr. Prentiss had a long and successful career with Phillips Petroleum Company, and over the course of his career, he received fourteen U.S. patents. 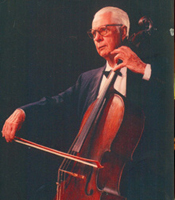 Dr. Prentiss also had a passion for orchestra and chamber music. 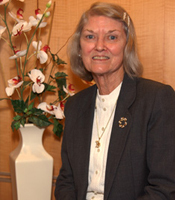 Marjorie Rhodes Townsend earned a bachelor's degree in electrical engineering from GW in 1951, making her the first female to receive an engineering degree from the University. She spent the bulk of her career at NASA's Goddard Space Flight Center, where she managed three satellite launches for NASA off the coast of Kenya. Over the course of her career, she was awarded a patent for a digital telemetry system; she received numerous professional awards; and has been active in many professional and civic organizations, including the Engineer Alumni Association at GW. Mrs. Townsend received the Engineer Alumni Achievement Award from the Engineer Alumni Association in 1975 and the Distinguished Alumni Achievement Award from the GW Alumni Association in 1976. 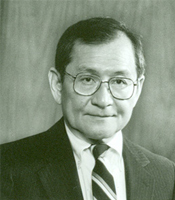 David Wang, a native of Beijing, China, emigrated with his family after World War II to the U.S., where he received a bachelor's degree in mechanical engineering from The George Washington University and a master's degree in mechanical engineering from Georgia Institute of Technology. Mr. Wang retired in 1991 as executive vice president and director of International Paper Co., and he is currently an operating partner in Atlas Holdings, a private equity investment firm. He has been a long-time member of the SEAS National Advisory Council. Mr. Wang received the Engineer Alumni Achievement Award from the Engineer Alumni Association in 1992 and the Distinguished Alumni Achievement Award from the GW Alumni Association in 2000.